We are stronger together. Hôpital Notre-Dame Hospital is grateful to offer access to a great variety of partners that enhance our mission to contribute by improving the health of our communities. To the right is a complete list of Hôpital Notre-Dame Hospital’s community partners. Simply scroll down or use the button links below to access each partner’s respective call to action box. The ‘Aging at Home’ program, in partnership with other community agencies, works to identify and assess the needs of the elderly in order to reduce crises and premature admissions to emergency services and/or placement in a long term care facility. The Canadian Red Cross helps improve the lives of vulnerable people by mobilizing the power of humanity in Canada and around the world. To further develop a district service environment that is responsive to community needs and which values the individuality of its residents. If you, or someone you care about, needs health care services at home, at school or in the community, or if you are considering supported living programs or long-term care options, home and community care at the North East Local Health Integration Network can help. North East LHIN works with people of all ages to ensure they can make informed choices about their care, when and where they need it. The “Foyer des Pionniers” is a non-profit long-term care home with 67 beds. Newly built and owned by Hearst Foyer – Mattice Healthcare. The main purpose of our focus has always been, and continues to be, to provide care and high-quality services to seniors, people with disabilities and those suffering from chronic or prolonged illness. This property is primarily a long-term care facility. As such, it works to meet the physical, psychological, social, cultural and spiritual needs of each resident. Provides services and support to adults with developmental disabilities and their families. Provides primary care to women throughout their pregnancy, labour and birth, including delivery and aftercare to both mother and baby during the first six weeks following the birth. Midwives attend clients in hospitals, birthing centres or their own homes. 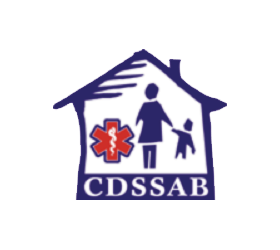 The Hearst, Kapuskasing and Smooth Rock Falls Counselling Services is a francophone community organization that aims towards maintaining, improving and enhancing the variety of its mental health programs and intervention programs for victims of violence and critical incidents. It offers holistic, coordinated, seamless and integrated services in both official languages in view of improving quality of life and answering the needs of communities it serves. As well as provision of services, the institutional role includes, in particular, that of maintaining the French language and francophone culture by encouraging solidarity among the Franco-Ontarian minority. The Jane Mattinas Health Centre provides health and prevention services that focus on educational aspects of healthy living in a manner that promotes mutual respect in a safe environment. Maison Renaissance is a treatment centre for Francophones in the province of Ontario who have problems attributed to substance consumption or gambling addiction. The centre is staffed by a team with professional clinical education, knowledge and skills for the treatment of problems related to substance use, concurrent disorders and gambling problems. The Missinaibi Clinic provides health care to residents of the Municipality of Mattice-Val Côté. Medical care team focused on family and community health who coordinate patient care in order to assess and treat injuries or illness. The team includes family doctors, nurses, mental health counsellors, Aboriginal navigators, and dieticians. 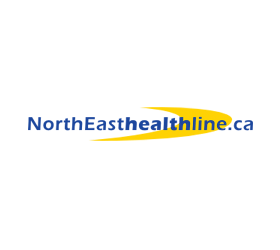 The North East Health Line website helps northerners better connect with hundreds of home and community care services.